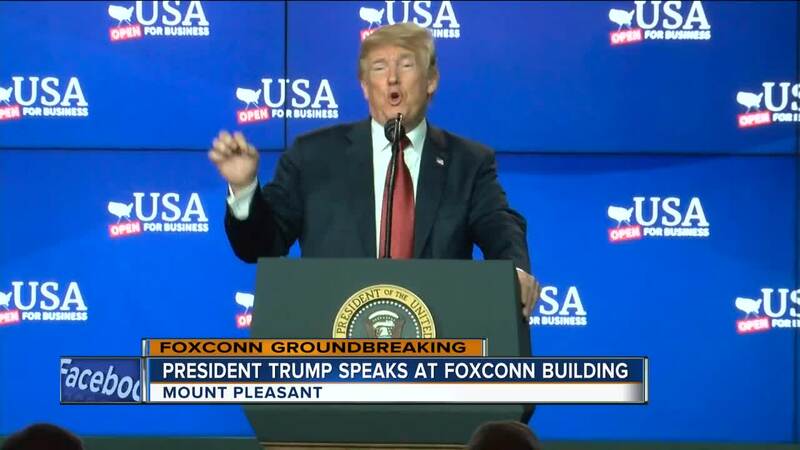 President Donald Trump touted the economic benefits of Foxconn’s planned massive LCD manufacturing campus during remarks at the company’s facility in Mount Pleasant on Thursday afternoon. Trump visited the building, which Foxconn leases, shortly after participating in a formal ground breaking at the nearby Foxconn construction site. 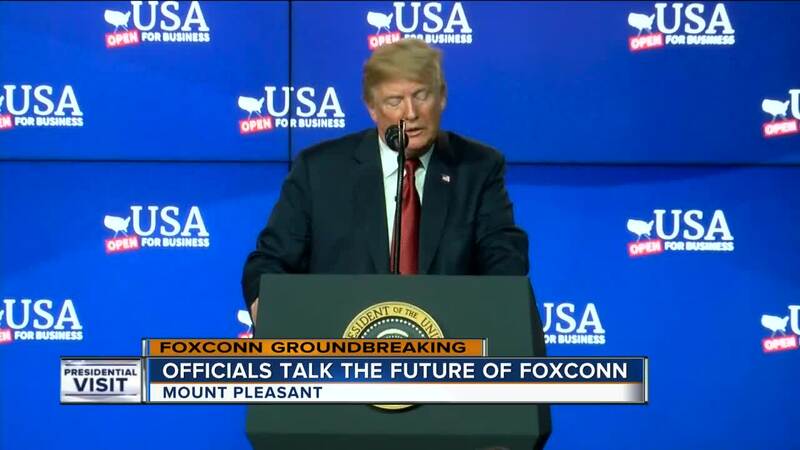 “I recommended Wisconsin in this case,” the President said of his previous conversations with Foxconn Chairman Terry Gou. “I’ll be recommending Ohio, I’ll be recommending Pennsylvania, and I’ll be recommending Iowa,” Trump added. All three states, along with Wisconsin, were considered toss-up’s that Trump won in the 2016 election. The President praised the state of the American economy. He also praised Gou and Governor Scott Walker for finalizing the Foxconn deal. The President equated it to him “handing off the ball” to Walker and Gou. 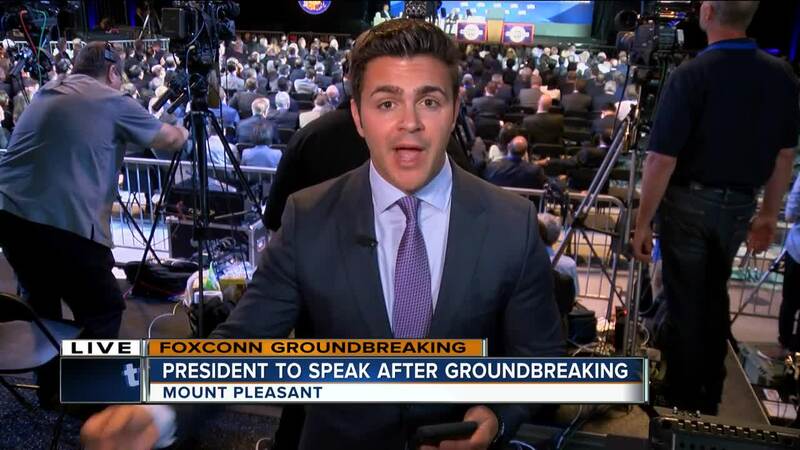 Foxconn has pledged to create up to 13-thousand jobs, which are tied to $3-billion in incentives from state and local governments, when it gets operations at the Mount Pleasant campus rolling. Trump on Thursday expressed confidence that the economic impact of Foxconn would resonate across the entire state. He also called up three workers who are already employed on the Foxconn project to join him on stage. “It was amazing,” said Dawn Wallace, of Kansasville, who works for Hoffman Construction as a builder on the Foxconn project. 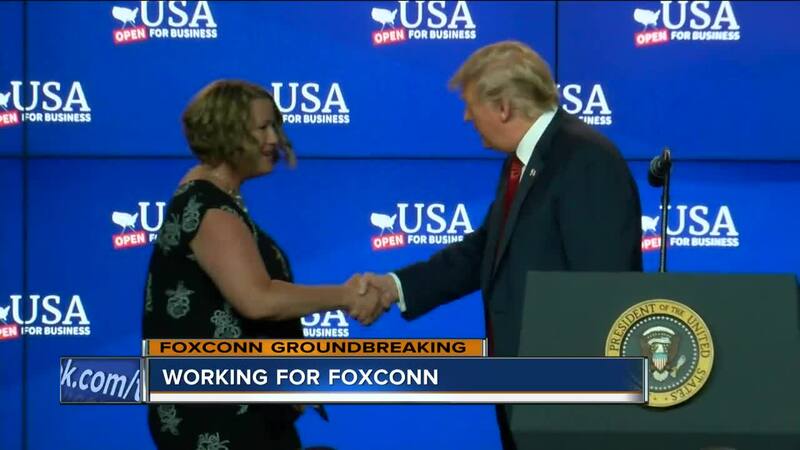 After more than a decade as a stay-at-home Mom, Wallace said the Foxconn project gave her the opportunity to get back to work. “(The President) brought these jobs here, and it’s an opportunity for me to make a living wage to help my husband,” Wallace said.